Model Stanford A - 2 Bedrooms, 1 Bath, 1,100 Square Feet of living spaces with two car garage. Model Stanford B - 3 Bedrooms, 2 Baths, 1,100 Square Feet of living spaces with two car garage. Model Purdue C - One Level, 3 Bathrooms, 2 Baths, 1,420 Square Feet of living spaces with two car garage. Model Syracuse D - One Level, 4 Bedrooms, 2.5 Baths, 1,644 Square Feet of living spaces with two car garage. Model Yale E - Two Level, 4 Bedrooms, 2.5 Baths, 1,897 Square Feet of living spaces with two garage. Model Berkeley F - 5 Bedrooms, 3 Baths, 2,250 Square Feet of living spaces with two car garage. Model Cornell G - Two Level, 4 Bedrooms, 2.5 Baths, 2,350 Square Feet of living spaces with two car garage. Model Columbia H - Two Level, 5 Bedrooms, 2.5 Baths, 2,621 Square Feet of living spaces with two car garage. Model Columbia I - Two Level, 6 Bedrooms, 3 Baths, 2,621 Square Feet of living spaces with two car garage. Amenities include green parks, community pool and spa. It's a short driving distance to nea by Walnut Shopping Center off of Culver Drive offering restaurants, retail stores, gas station and grocery stores. Schools falls within the award wining Irvine Unified School District. Elementary school is College Park Elementary School, Venando Middle School and Irvine High School. 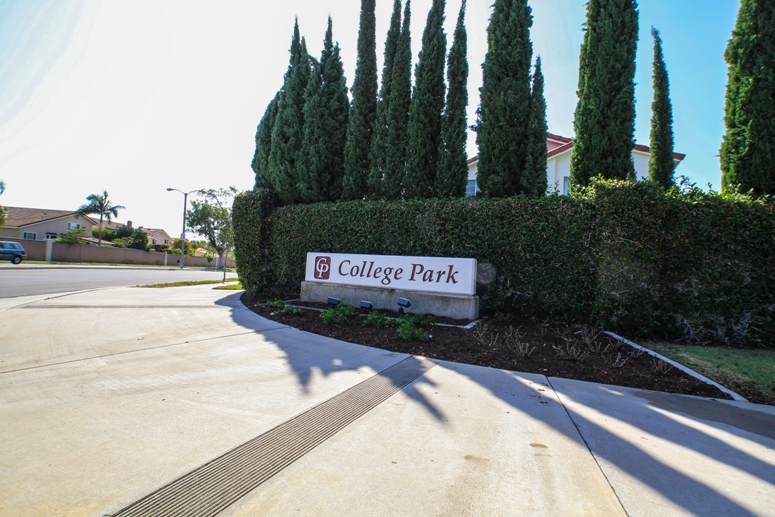 The Homeowner Association is Collage Park Association managed by Professional Community Management located on 23726 Birtcher Drive, Lake Forest, California 92630. They can be reached at 949-768-7261. HOA dues are typically very low. So if interested to buy or lease in College Park Homes at Walnut community then, please, have a look around, and contact us with any questions you might have about the market or our services. No question is too mundane - we want to help!